And, it's already 1-1 after 1. Infield first, then everyone else. Single file only! 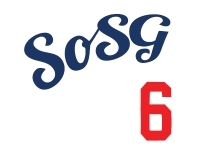 Dodgers forgot to post their GT, too, looks like. 7-2 with Bolsinger shitting the bed.